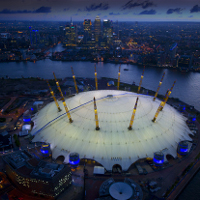 Event, venue and premises security specialist, Integrated Security Consultants (ISC) Ltd, has been awarded a five year contract to supply CCTV and radio channel controllers to The O2 arena, London. The company has been chosen to provide controllers and senior controllers to the complete range of events held at the internationally renowned venue after a competitive tender. Live music and events due to be staged at The O2 include Paolo Nutini, The Kaiser Chiefs, The Barclays ATP World Tour Finals and Strictly Come Dancing Live. The 20,000 capacity venue is the UK’s second biggest indoor arena and one of the busiest in the world. The contract follows the news that ISC’s Singapore business has been awarded Security Agency license status, enabling the company to offer its full portfolio of security and crowd management services in Singapore and South East Asia.